Dividend yields from the Big Four stocks show some appetising numbers. “Do you know the only thing that gives me pleasure? It’s to see my dividends coming in,” John Rockefeller reportedly said in the early 1900s. The founder of Standard Oil was America’s first billionaire and is still considered one of the richest men in history, so he knew a thing or two about turning a buck. Rockefeller may have been exaggerating for dramatic effect, but various studies show that over the longer term what you get in payouts dominates the total return from your investment. This is particularly the case in Australia, where franking credit rules make a dollar paid out worth more to Aussie investors than offshore ones. And in the land of dividends, the banks are royalty. 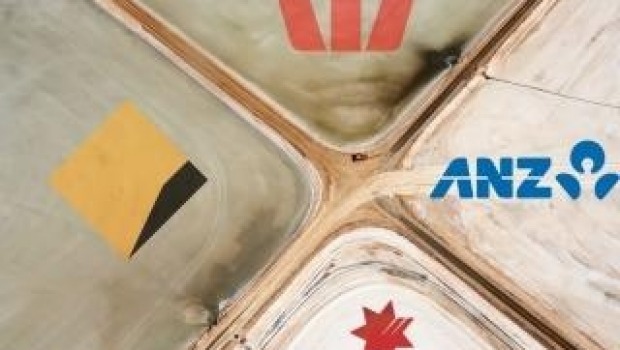 The Big Four of CBA, ANZ, Westpac and NAB have paid out around $20 billion over the past year to their hordes of cash-hungry investors. Income is a big deal to many bank shareholders, particularly those who are using it to fund their lifestyle or retirement. All of which means bank investors are prepared to suffer through the endless slings and arrows of the royal commission on one condition: those cheques keep rolling in undiminished despite the obvious challenges. So a quick glance at the dividend yields on offer from Big Four stocks shows some appetising numbers. Yields range from 5.6 per cent for ANZ to 7.1 per cent from NAB shares. Grossed up, the range is from 8 per cent to an eye-watering 10.2 per cent. But high dividends relative to the price are a double-edged sword. At some point it begins to cut both ways, and a very generous yield shifts from being a sign of a robust, cash-generative business to something else: a sign that investors are worried the dividend is at risk. There is certainly no growth – looking backwards or forwards. The long boom in household credit has just about exhausted itself, leaving the banks pincered between intensifying regulation and virtually zero organic revenue growth. Over the past three years, none of the major lenders have recorded growth in payouts on a per share basis by more than 1 per cent. ANZ’s has actually gone backwards, by 4 per cent, on Bloomberg numbers. Flat dividend growth is one thing; a cut is another thing entirely. So what chance of the unthinkable? “We believe major bank dividends are sustainable,” Bell Potter bank analyst TS Lim wrote this week. The Bell Potter analyst does not think bad loan expenses will push to levels seen in previous crises, as the banks have “de-risked” by moving away from unsecured personal lending and are not financing as much property development. A stable and healthy economy for the foreseeable future helps, as do healthier capital buffers. NAB is the only big bank where the consensus has a lower dividend: a fall from $1.98 in the most recent financial year to $1.95 in the current. NAB is also the only bank that earns a “hold” recommendation from Lim, and, coincidentally or not, is the only one of its Big Four peers not to lift its key variable mortgage rate in recent days. “Bank valuations look extremely attractive with little short to medium-term risk around a systemic bad debt cycle,” one Aussie fund manager told their clients this week. Perhaps; while shareholders may be unwilling to sell as long as dividends hold up, one feels that there are few new buyers waiting in the wings. Previous articleBob Woodward on Donald Trump and ‘Fear’: Is it time to feel afraid? updatenewz.com is a news, entertainment, music & fashion website. We provide the latest and daily news & videos time after time.